I have played Team Fortress 2 for 100 hours. That isn’t a lot, I know. I spent 81 hours, or something close to that, in Skyrim during the first week after release. I have probably pumped a collective 500-1000 hours into the Call of Duty franchise over the past few years. I can’t begin to tell you how long I spent, at the tender age of thirteen, min-maxing characters in the various Final Fantasy games of my youth. But 100 hours in Team Fortress 2 feels like an accomplishment for some reason. It might be the conquering that it required–I can pick up any modern console shooter and immediately do well. I’m not always have been the best player on my team in a pick-up game of Modern Warfare 3, but I was certainly never the worst, and I like to think that my play style is both smart and adaptable. What I’m saying is that I have a skill set in console shooters that makes me very comfortable when playing. It wasn’t that way when I began Team Fortress 2. It was a struggle. I died a lot. I hit hour fifty or so before I started trying to play as a Spy or as an Engineer–the difficulty spikes around those classes, and it was far from my expertise in dude shooting that Call of Duty had cultivated. So what made that hundred hours feel like an accomplishment? Cooperation. 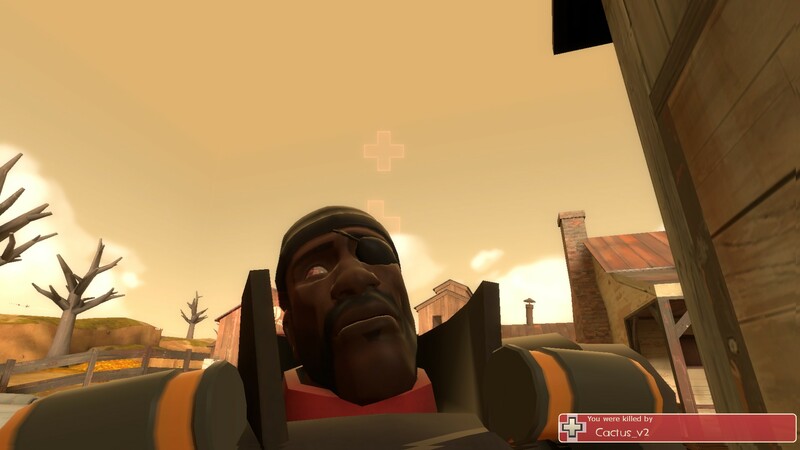 Playing 100 hours of Team Fortress 2 means that, in order to win, I have had to quell my urges to be a giant shithead in games. I have had to pay attention to the movements of other players. I have had to listen. I have had to speak, not to trash talk, but to suggest routes of movement and strategies of attack. The exclusively goal-based gameplay of Team Fortress 2 has made me a better participant in the world of games. For the record, I like the game, even if I don’t like the (not very) recent addition of microtransactions to get weapons more quickly that you would through crafting. Anyway, I salute you, Team Fortress 2. Your designers design well; your players play well. You are a good game. Side note: I have apparently only ever taken one screenshot in my entire 100 hours of Team Fortress 2. Here it is, in all its strange glory. This entry was posted in Video Games and tagged 100 hours, team fortress 2, video games. Bookmark the permalink.